Why did the doctors, medical staff, and their assistants start calling me,“The Tongue Lady,” when I had to undergo major abdominal surgery? What do tongues have to do with tummies? Sounds gross! It wasn’t. They saw me reading my favorite, short, book about Ayurveda by Dr. Vasant Lad. The book has images of tongues, showing things like a jagged streak down the middle, or red bumps around the edges, or a white coating, called “thrush.” These appearances on tongues relate to disease conditions in the body. No, I was not paid to extol the virtues of his book. I share about it because I learned a lot from Lad’s work. The medical staff became totally intrigued by the sketches of tongues in that book. Soon, they were sticking out their own tongues while looking in a mirror to diagnose themselves. Given human nature, they immediately began diagnosing each other and everyone they know – present or absent from the scene. Ayurveda, Chinese medicine, and now Western medicine have come to the same conclusions about the value of “reading” fingernails, eyes, and tongues in the diagnostic process. (That’s why the doctor has you stick out your tongue and say “Aaa-aaaa-ah.” Below are some examples of disease conditions related to the visible state of your fingernails. I’ve included links for Dr. Lad, The Guild of Naturopathic Iridologists International, Natural Health Techniques, and WEBMD. Ayurveda (a form of East Indian medicine) means ‘the science of life.’ This link to the Deepak Chopra’s healing center will give you much more insight and information about it. 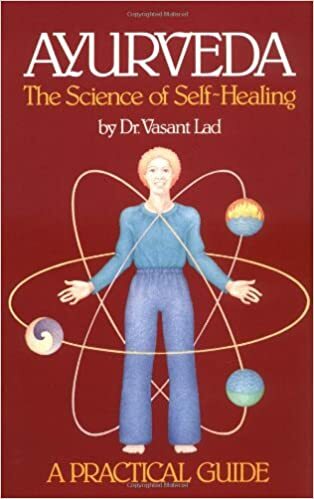 Dr. Lad also authored The Complete Book of Ayurvedic Remedies, available through Amazon and elsewhere. To learn more about Ayurveda, Click Here. I know little about diagnostics through close attention to various parts of the eye. (I never pretend to know more about a subject than I actually do!) The Guild of Naturopathic Iridologists International knows a lot. So, to learn more about Iridology, Click Here. Pictures of Fingernails are Worth a Thousand Words, According to WebMD. There are great pictures of fingernails on the above link. I can’t share them directly on this page without violating copyright laws, so please click on the link to view them and their meaning. According to Natural Health Techniques, here are the health and well-being relationships among fingers and organs. The Thumb: Reflects what is going on in the brain, excretory system and in the reproductive organs. Index Finger: Reflects what is going on in liver, gallbladder or nervous system. Middle Finger: Reflects what is going on in the heart and circulation. Ring Finger: Reflects what is going on in the reproductive organs and the hormonal system. I suggest subscribing to Natural Health Techniques’ website and to their Facebook Page for very detailed information and tips. Here is just a short excerpt, describing interpretations of a fingernail condition. Both with Clients and for myself, I have found these clues to be correct when seeking information about underlying health issues. I hope you find them useful. I share articles, thoughts, and experiences about health and wellness on my Facebook page, My Get Well Guru. Feel free to go there often, as I post new findings almost every day. I am a certified Life Coach and Hypnotherapist with many more certifications. My Life Coach Facebook page is called “Change Your Life,” and I publish philosophical or spiritually uplifting thoughts on “Nancy Knows.” I also have a Meetup group where we discuss and/or practice a number of holistic healing modalities and meditation. It is called “Change Your Life,” and we meet throughout Northern Virginia. Please join us and let me know what you want to talk about. This entry was posted in Holistic Healing and tagged Ayurveda, body mind connection, CAM, complementary and alternative medicine, eye conditions, eye disease, eyes, Fingernails, healing, health, holistic healing, integrative medicine, Iridology, split nails, Wellness by Nancy Ayanna Wyatt. Bookmark the permalink.